At Precision HVAC, our heating contractors are here to help you keep your property as comfortable as possible at all times. We have the knowledge, skill, and experience to handle the most difficult heating projects, including boiler installations and replacements. With our help and guidance, you will make the absolute most out of this effort. Your boiler will provide for all your comfort needs in the most efficient and effective fashion. 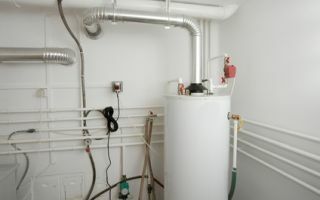 When you hire our professionals for your boiler installation, you can feel confident knowing that you made the best possible choice for the task. Our team strives to form long lasting and mutually beneficial relationships with all of our customers. To do so, we always work our hardest to achieve the best possible results in everything that we do. During your boiler installation, our technicians will bring this dedication to excellence to task for you. If you need to install a new boiler in your Saugerties home or business, call Precision HVAC today. Our polite and professional staff would be honored to assist you with this effort. Our heating experts can answer any questions that you may have about your property, your prospective system, and our exceptional services. We can schedule your appointment today. If you need to hire a professionally licensed heating contractor who specializes in boiler installations in Saugerties, call Precision HVAC today at 845-399-0669, or fill out our online request form.